What is a Divi API key? Before you can update your Divi theme or any themes or plugins from Elegant Themes (Bloom, Monarch, Divi builder etc) you will first need to authenticate your Elegant Themes subscription with an API key. 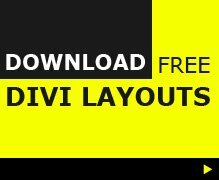 You will also need your API key to access the pre-made Divi layouts that come with Divi. To authenticate your account you will need your Elegant Themes Username and your API Key. Your username is the same username you use when you log into your members dashboard at Elegant Themes and your API Key is found in your Elegant Themes members area under Account > Your API Key. In your Elegant Themes members area under “Account” > “Your API Key” you also have the option to create new API keys under your account. This is useful if you are building Divi websites for clients as you can create a unique API key for each client/website so that you have the option to revoke that specific API key if necessary in the future. If you have access to the site you can always just go into the theme or plugin options and remove the username and API, but if you are wanting to remove the key, then there is a good chance you also no longer have access to the site itself. Many Divi developers will use their own API to allow their clients to get updates to their theme and plugins as long as that client is on an on-going update or maintenance plan with them. But, if that client decides to stop the maintenance plan at some stage in the future then most developers would also want to stop that client from using their Elegant Themes membership for updates. The developer would then ask the client to go and buy their own membership (perhaps via an affiliate link) at Elegant Themes. By assigning a unique API key to each client or website this process then becomes a lot easier to manage. How to manage multiple Divi API keys? The Elegant Themes API dashboard allows you to create new API keys and lists them all in under your API section, but it does not allow you to assign any notes as to where those API keys are being used. If you are a busy Divi website designer, you may well end up with a lot of API keys listed and no easy way to tell which websites they are being used on. To keep track of my API’s, I have a simple text document (that is backed up with all my other data) where I keep a list of all the API keys I have created in my account along with the URL of the site they are used on. This works OK for me, but there is another option that comes in the form of a free Chrome extension created by SJ James over at Divi Space. The Elegant API Manager adds a ‘Client Name’ and ‘Client URL’ field to your API keys area when you are logged into your Elegant Themes member area. The data for this additional information is saved in your local storage (you need to use the same computer each time) so the only person who has access to it, is you. One thing to note is that if your local storage gets deleted or your morning coffee end up on your laptop and destroys it, then you will loose the data you had saved. Your old client has gone AWOL and stopped paying you for maintenance so you decide it is time to remove their access to Divi updates via your Elegant Themes membership. All you need to do is log into your Elegant Themes members area under “Account” > “Your API Key”, select the appropriate key and hit the deactivate button. Whether or not you decide to deactivate old clients API access is entirely up to you but from what I see in the various Facebook groups when the issue comes up, most only allow clients access if and when they are on a maintenance plan. Some require their clients to buy and use their own Elegant Themes membership from day 1, but again this is entirely your choice. First of all thanks to SJ James for his work. I have to admit, that in my opinion, it is an incredible joke, that elegant themes is not capable of adding two fields to a form and storage the data to give them back out again. I guess that SJ James’ work might be, probably at least, ten times as much as adding two fields to that form for the ET development team. Thanks SJ ant ET feel ashamed. 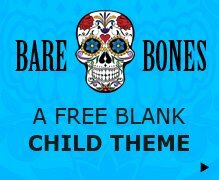 I didn’t know this, but it’s very interesting… So a question; if I use a unique API key for all muy sites, can I manage what websites has the key from elegantthemes site? my divi builder asks for authentication when i try to import a premade layout. I already did the process of authenticating the Divi Theme and Divi builder in the backend. I have made imports before without a problem before. Any help? Hi guys. Do you know how to totally revoke an Api in a site? The client did not pay the site and he delete my credentials.